Fits up to 6" tubes. Diameter 6 1/2". 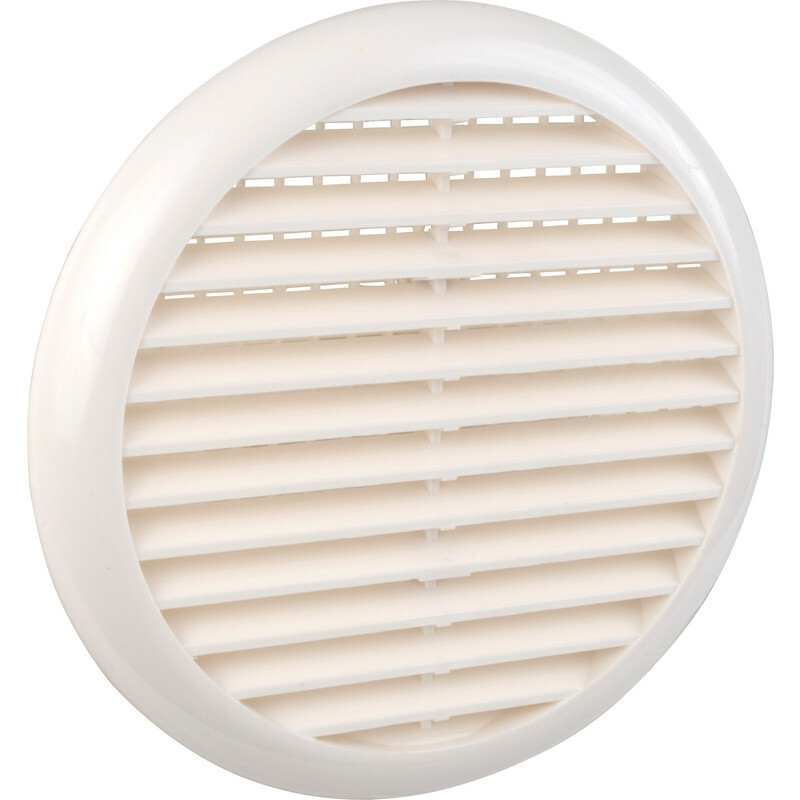 Round Louvre Vent White is rated 4.0 out of 5 by 4. Rated 5 out of 5 by BarryTheOtter from Good product No tools required, fits into an appropriatey sized hole using two metal flexible clips (supplied). Looks neat and tidy, can't go wrong at this price. Rated 5 out of 5 by Dave99 from Simple to fit vent This is such a great vent looks good on Wall and comes with spring steel attachment for different size hole. Quick and easy to fit. Rated 5 out of 5 by Azstar from Easy spring clip design Does the job well, no need for drilling holes as it uses spring clips to hold itself against the inside of the tube.